Changing your hair color at home is easily accomplished with over-the-counter coloring kits. Adding highlights or lowlights to hair can help give your style a new look. Lowlights can be used when you have overprocessed your hair with bleach, and they add a rich texture and color to contrast and blend with the blonde color associated with bleaching. Using lowlights in a color one to three shades darker will allow you to add depth and dimension to your hair. Trim dead and split ends. Go to a salon if you can't trim your own ends. Condition hair thoroughly, using a deep and penetrating conditioner to help smooth down the hair shaft to prepare the hair for lowlights. Comb hair, making sure to use the hair part you typically wear on a daily basis. Section hair into four main areas, one on each side and two in the back. Clip each of the four sections up using a hair clip. You will add lowlights section by section. Mix the lowlight coloring. Put on gloves and place a towel or sheet under your feet to catch drips. Stand in front of a well-lit mirror. Remove one hair clip to allow one section of hair to hang down. Spray the section of hair that you're working on with water to dampen the hair slightly. Pay close attention to the ends or sections of hair with the most damage, as you will need to thoroughly wet those areas. Wetting the hair helps prevent further processing damage to the hair. Apply lowlights to the strands and sections of hair where you want darker highlights. Continue applying the coloring to all strands in the first section. Move on to the next section by repeating the process of combing out the hair and wetting the ends with plain water. Allow the lowlights to process according to stated instructions on the coloring kit. Rinse out the lowlights according to the manufacturer's instructions. 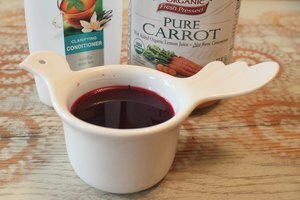 Apply thick conditioner to the hair and allow to soak in for 10 to 15 minutes. Rinse and towel dry hair. Avoid using hair dryers, curling irons or flat irons on damaged hair, such as overprocessed hair, to keep additional damage at bay in the days before adding lowlights. Use lowlights throughout the entire head as the darker lowlights will blend in and make the hair look healthier. Wetting the hair before applying lowlights will produce a lighter shade, so choose a darker color. 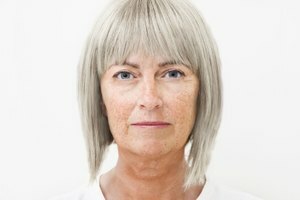 Know that the technique of wetting the hair first helps prevent damage, which is essential for overprocessed hair that's already damaged. 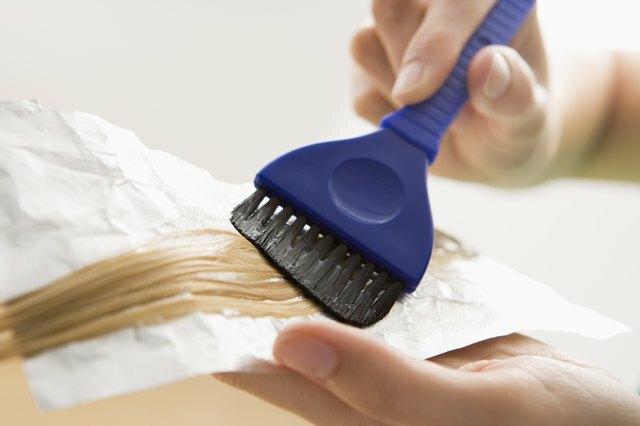 Don't apply lowlights to hair that has been colored or bleached in the four to six weeks prior, as too much coloring can cause even more damage to the hair. 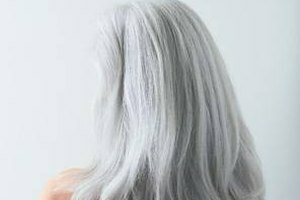 Good Housekeeping magazine: Bring Your Hair Back to Life!